Our security professionals are San Diego’s leading experts when it comes to assisting you with your security needs and, when you establish an account with Grah, provide 24-hour emergency service throughout the San Diego region. 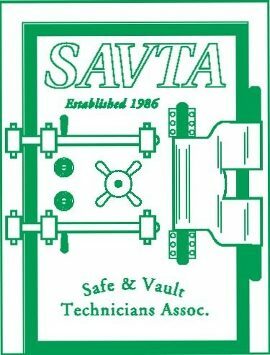 Grah Safe & Lock has proudly served the San Diego community for more than a century. Since 1914, we have established an unmatched level of trust and respect among San Diego residents, based on dedication to customer service and uncompromising excellence in home and business security. Grah Safe & Lock is a family owned, full service locksmith company, yet has evolved into one of the largest and most diverse security providers in all of southern California. Grah Safe & Lock is proud to be an authorized distributor and installer of the top names in security: Medeco Locks, IC Cores, Schlage Locks, Primus Locks & Keys, Wireless Network Locks, Salto Systems, Master Locks, Assa Abloy, Burg Wachter Safes, AMSEC, Fire King, General Lock, and much more. Each of our security specialists is highly trained to assess your specific needs, from the most basic key cutting & duplication to safe repair to security camera installation. Grah Safe & Lock is the one to call when you need the very best locally owned locksmith right now. Grah Safe & Lock specializes in residential and commercial access control systems, security solutions, safes sales/installation/maintenance, video surveillance, and security compliances. We stock thousands of high-quality products in our University Avenue shop, including a wide range of fire & gun safes, high security locks & keys, keyless entry locks, access control and video surveillance systems, and security hardware of virtually every type. Grah Safe & Lock is the only call you will need to make for safe delivery and installation, backed by expert safe repair and safe combination change services your home and business. 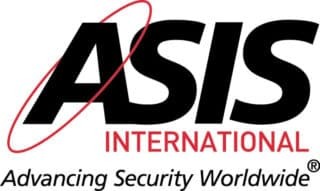 We are authorized dealers of burglary & deposit safes, fire & gun safes, record safes, and DOD safes from industry leaders AMSEC, Fire King, and General Lock. Grah Safe & Lock is dedicated to making your property safe and secure. Few things are more important to your peace of mind than protecting your property, which is why thousands of San Diego homes and business are safe and secure thanks to Grah’s products and expertise. As a commercial business locksmith, Grah Safe & Lock has emerged over the last century as San Diego’s leading commercial locksmith — and with good reason. Our access control systems and surveillance expertise simply cannot be matched, regardless of your business size or security requirements. Grah’s security specialists are dedicated to the highest level of service when protecting your business assets is priority one, from thoroughly assessing your needs to 24 hour service, seven days a week for our products. We feature wireless network lock installation, keyless entry locks, touch screen locks, key card readers, exit devices, and high security locks from Schlage, Medeco, and Salto Systems, among others. Our residential locksmith services range from rekeying & master keying to security camera installation, and include virtually every other home security measure in between. We rekey house locks quickly, affordably, and on site for your convenience. High security locks and keys, including touch screen locks, are home protection area in which Grah excels. 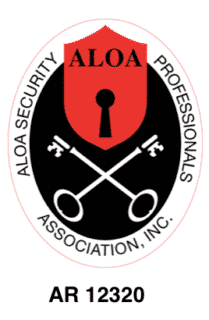 With one call to us, we will quickly assess your personal security needs and offer you state-of-the-art high security lock and key options from Medeco, Keymark, Schlage Locks. Primus, and other to protect your home and family from today’s constantly changing burglary techniques. If you’re considering broader security protection for your business, Grah Safe & Lock has the solution. We are the San Diego authority when it comes to video surveillance, video over IP, security camera installation, and closed circuit TV (CCTV) systems. Our vast experience in providing the full range of services for securing your business with the most advanced technologies on the market, makes Grah the obvious choice when it comes choosing a locksmith. Call us to today for a professional consultation you can trust to protect your business. When it comes to an issue as sensitive as your home or business security, put your trust in an accredited, licensed Mission Valley locksmith. Grah Safe & Lock is proud to be a member of BOMA, ASIS International, The Better Business Bureau, ALOA, and SAVTA: Safe and Vault Technicians Association. We have a real physical locksmith showroom! Visit us today!